With over 18,000 square feet of gym space there's plenty of room to join the CrossFit Rhema family. Our CrossFit programs meet downstairs in our gym which features a specific Olympic weightlifting facility, gymnastics area and a full CrossFit rig buildout. Our CrossFit Kids program meets upstairs in their own gym designed with kid-friendly workouts in mind. You don’t have to spend much time around Dusty to understand how passionate of a person he is. With the heart of an entrepreneur and relentless perseverance, Dusty is one of the co-owners of The Health Factory. After growing up in a southern home filled with southern cooking, he was left with a yearning for the truth about health. He spent several years searching for the path to health with his wife, and he finally landed on the principles that are the cornerstone of The Health Factory. Eat Well. Move Well. Be Well. His specialties don’t stop at general CrossFit classes, he is often found coaching personal training sessions with clients that are just starting their own journey. Paired with his nutritional knowledge, Dusty knows how to impact lives. Storm has been involved in CrossFit since 2010. After spending several years doing and coaching CrossFit he found a passion for weightlifting and strength sports. He spent several years studying, training, and competing in weightlifting. 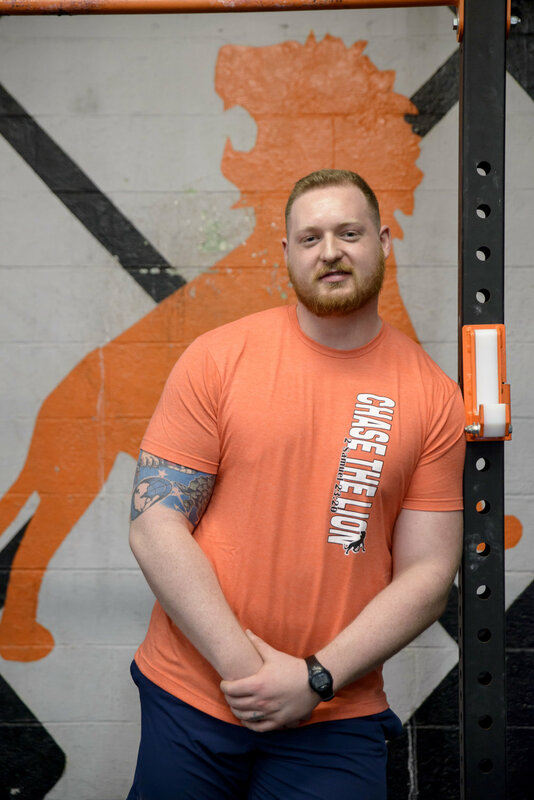 Through coaching CrossFit and weightlifting, Storm found himself wanting to further illuminate health to populations that are typically not served. Because of this realization, he often trains adaptive athletes and is pursuing a career as a physician. Life long health begins with the simple steps of exercise and nutrition, and helping others understand that has become his passion. Though he is the youngest member of the team, Logan brings years of strength and conditioning wisdom to the table. After playing sports through high school, he transitioned to training in bodybuilding and powerlifting. Personal training was a natural fit for a guy with an outgoing personality and a desire to see others push past their own conceived limits. When the staff at Rhema saw him interact with the children of members they knew instantly that he should take the reins of the CrossFit kids program. With a heart for servings others and an ability to connect with young people, Logan has quickly become an integral part of the team. He is truly multi-faceted, a coach that con connect emotionally with an athlete and also challenge them to grow in all areas of their life. Caitlin started her journey in early childhood education. After serving as a preschool teacher for 4 years she realized the key to generational health not only lies in investing in children, but in educating their parents about a healthy, holistic lifestyle. She had been working out in a CrossFit gym for 2 years at that point and decided to pursue coaching as a full time profession. Pairing her knowledge of education and her passion for empowering and investing in education, Caitlin has come into her own as a coach. She is often found fostering relationships with members at the gym. If you have questions about nutrition or just want to chat about what’s going on in your life, she’s your gal! Zach has had a passion for sports and working out since high school (which was quite some time ago). What he loves about CrossFit Rhema is being part of such a great and supportive community that he considers his new family. He hopes anyone interested will come in and experience CrossFit Rhema for themselves where he sees fear become courage, strangers become family and lives changed permanently for the better.